The Microchip Technology Inc. 24AA512/24LC512/24FC512 (24XX512*) is a 64K x 8 (512 Kbit) Serial Electrically Erasable PROM, capable of operation across a broad voltage range (1.8V to 5.5V). It has been developed for advanced, low-power applications such as personal communications and data acquisition. This device also has a page write capability of up to 128 bytes of data. This device is capable of both random and sequential reads up to the 512K boundary. Functional address lines allow up to eight devices on the same bus, for up to 4 Mbit address space. 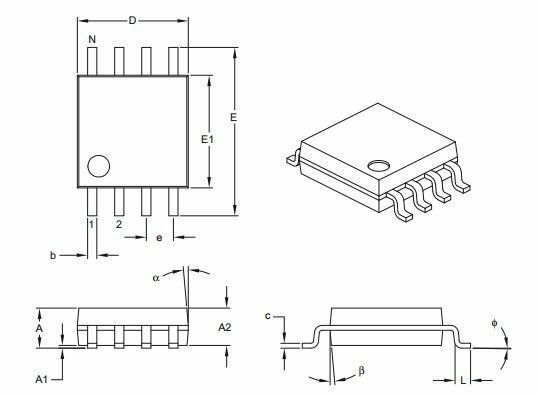 This device is available in the standard 8-pin plastic DIP, SOIC, DFN and 14-lead TSSOP packages.